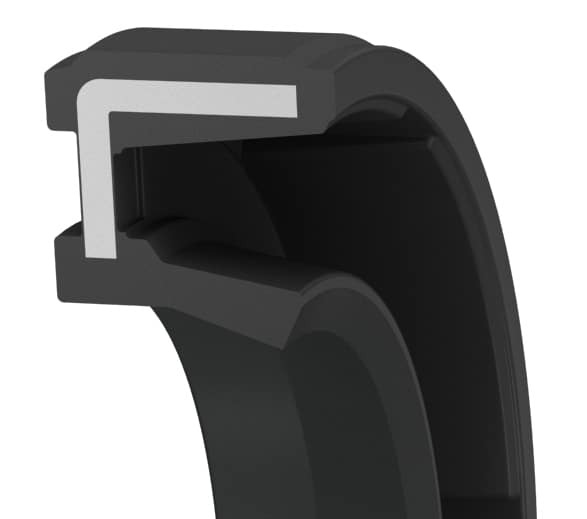 Premium general purpose springless grease seal with integrated metal reinforcement element for press-in fitment in an open housing. Designed to control leakage in grease-packed bearings. The springless lip imparts low friction and heat generation. The rubber-covered outer diameter creates excellent static sealing without excessive damage to soft alloys. This is an excellent low friction seal for non-pressurized media such as grease or highly viscous fluids. Standard Range Functional Range Tolerance * D= Tolerance Tol. +0.010/-0 min. max. *Standard cross-sections (CS) listed and non-standard sizes can be provided for any shaft size up to 63 inches. 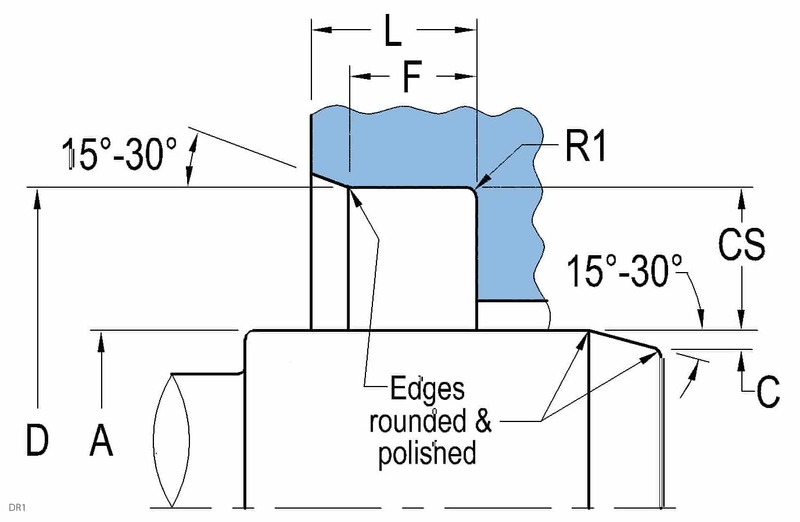 Surface finish: Shaft (A) plunge ground, zero lead, Ra 8-16µin - Housing (D,L) Ra 32-63µin. Shaft material hardness min. RC45. See Technical Info for more specific information. Size Table (Metric) Standard sizes listed below are preferred sizes for new design applications; however, we offer any other seal size as required. Seals are available for any shaft diameter size in 0.01 mm increments, including Functional Range and standard DIN 3760 sizes. *Standard cross-sections (CS) listed and non-standard sizes can be provided for any shaft size up to 1600mm. Surface finish: Shaft (A) plunge ground, zero lead, Ra 0.20-0.40µm - Housing (D,L) Ra 0.8-1.6µm. Shaft material hardness min. RC45. See Technical Info for more specific information.